Are you naturally sociable? Are you outgoing with people, and can start a conversation with a complete stranger? What if you’re not? What if the mere thought of asking a stranger a question, or making small talk as you stand in line next to them at the store makes you cringe? For many people it is easier to be social online. No face-to-face necessary, no awkward glances or eye contact. 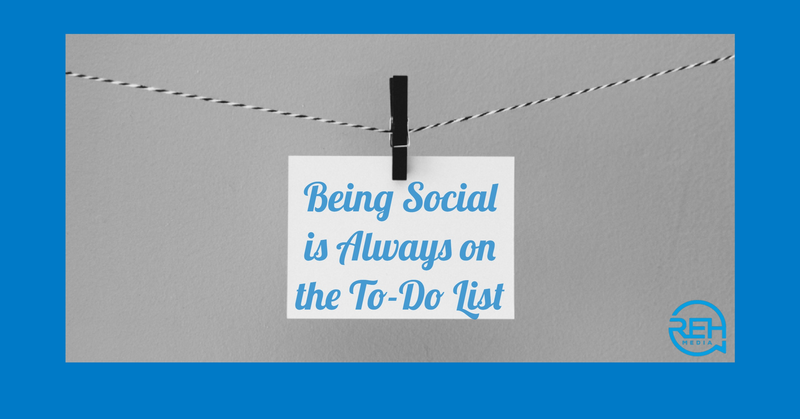 But even then some people need reminders, a nudge to remember to be social. This is especially important for businesses that have Social Media accounts. If you believe that just by having a business page on Facebook that people are magically going to flock to your Page…you’re wrong. Or because you set up that new business Twitter account everyone is going to comment on all of your Tweets…also not going to happen. When followers land on your Social Media pages, what do they see? Is the account active with current posts and conversations (aka engagement), or is it sitting dormant, collecting dust, with crickets chirping in the background? If you literally need to add it to your weekly calendar to-do list, do it, do it now! Being social and engaged with your clients and Social Media followers is crucial for great communication. Remember. when the time comes that you recognize the importance of Social Media, but cannot fit it into your business routine, do the smart thing and hire professionals to handle it for you. REH Media is a Social Media Marketing, Strategy and Services firm, helping businesses get Social since 2009. Real Engagement Happens…Let’s talk! next post: Are You Afraid of Being Social…Online?